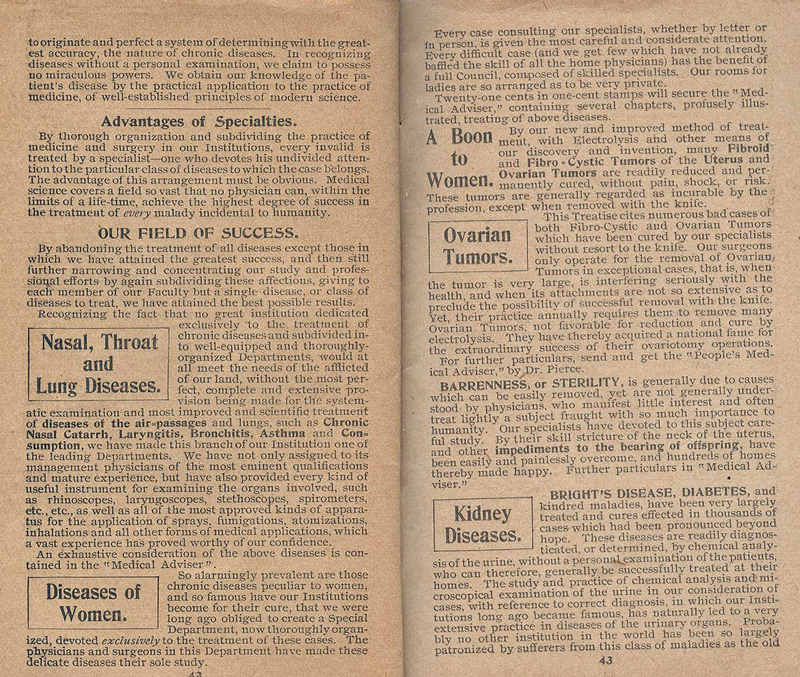 In an age which did not discuss bodily functions, it was really hard for women to talk to male doctors. 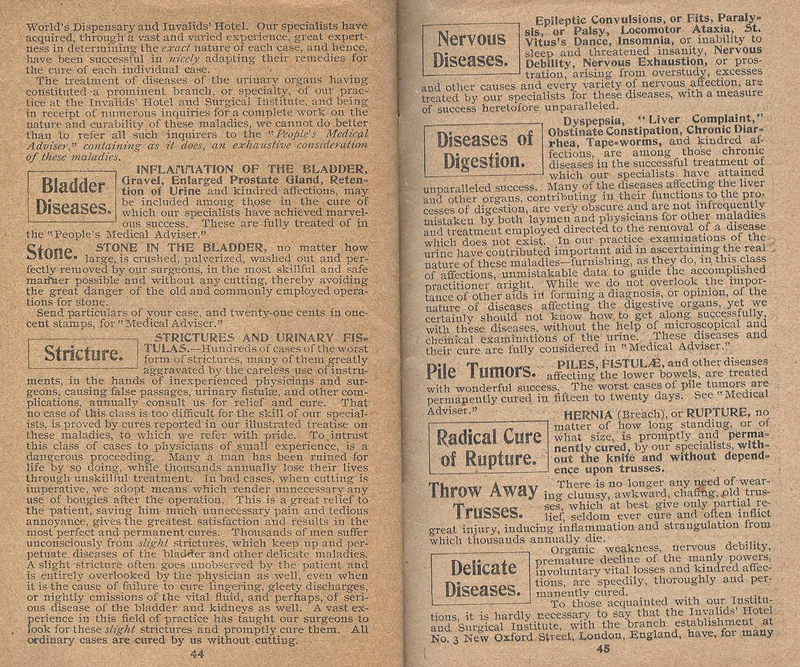 This opened up a need for mail-order medicines. 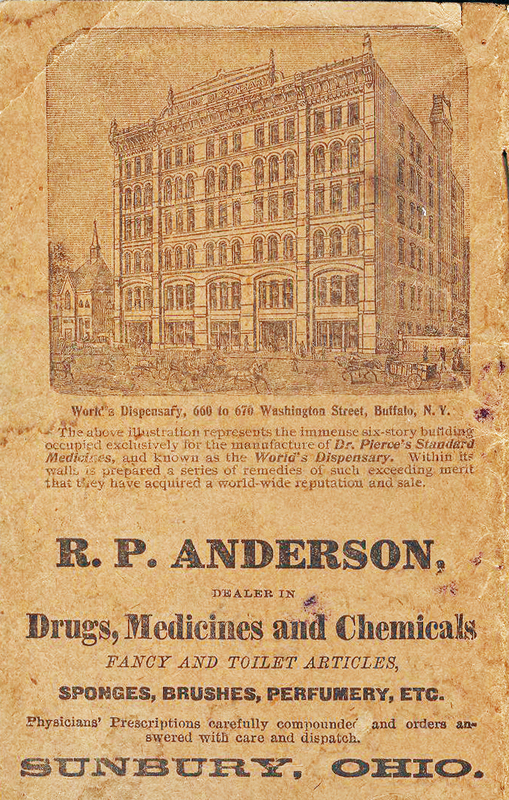 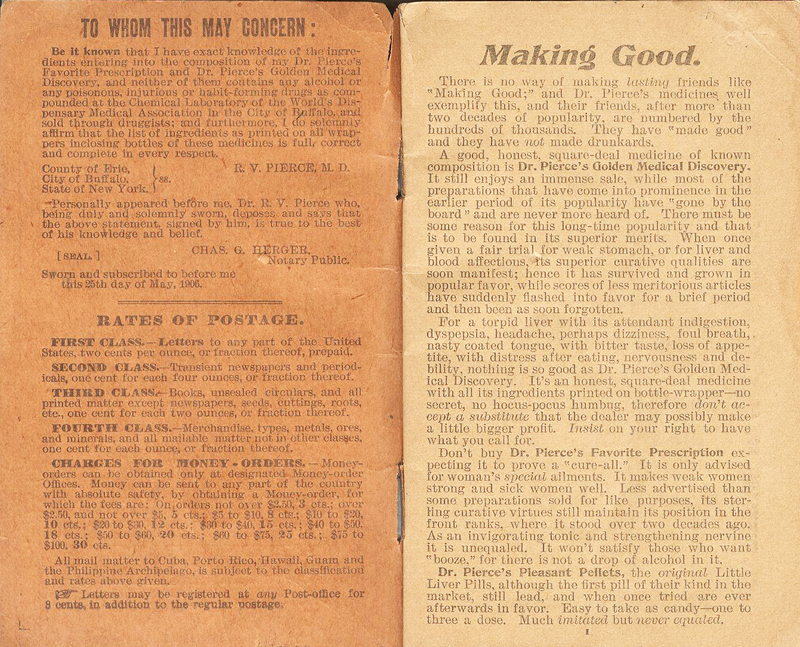 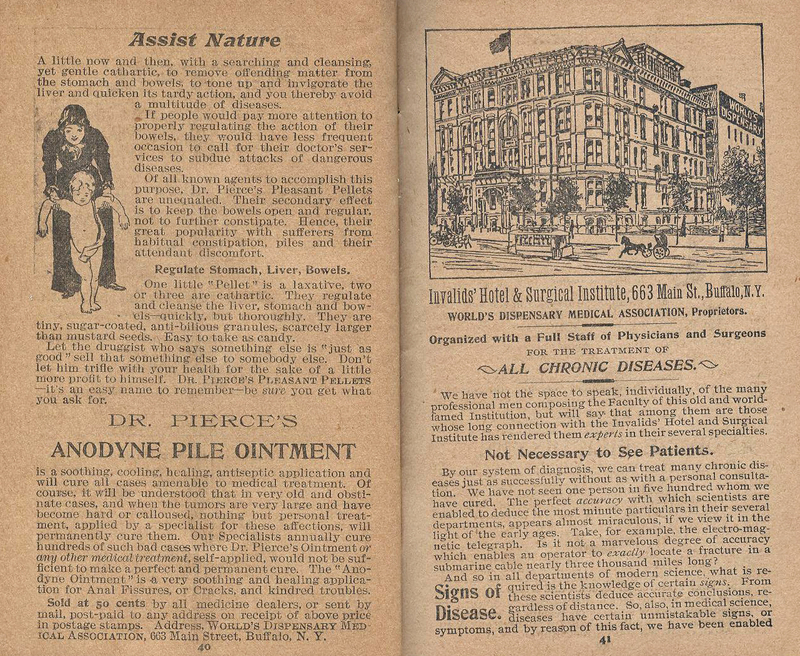 Sometimes American doctors in the 19th and early 20th centuries offered their medicines and diagnoses through the mail. 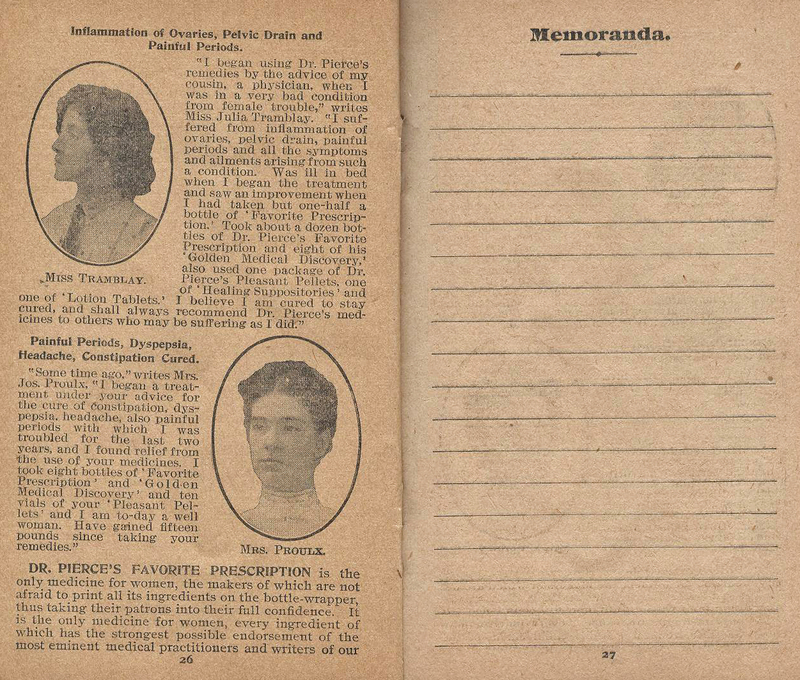 Of course they always recommended their medicines. 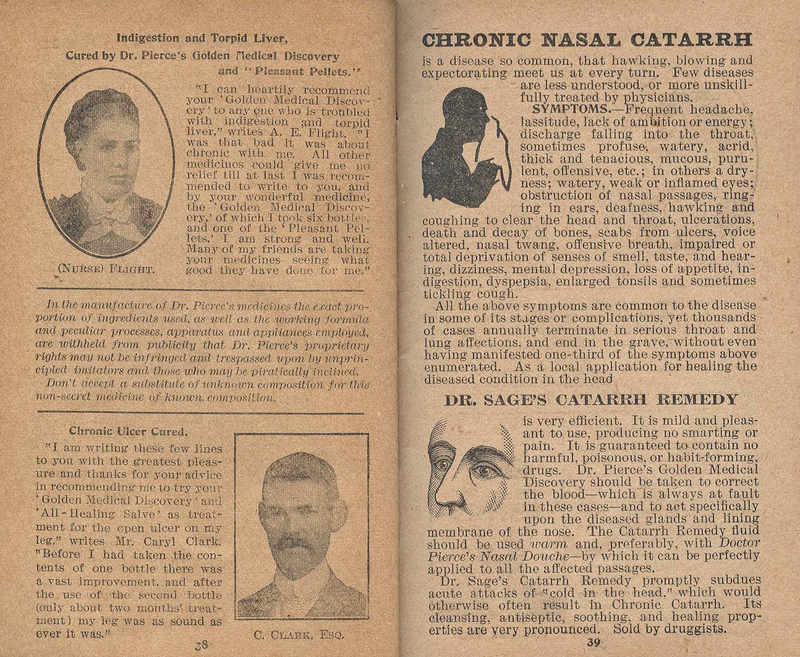 Unfortunately alcohol was usually the main ingredient in the medicines. 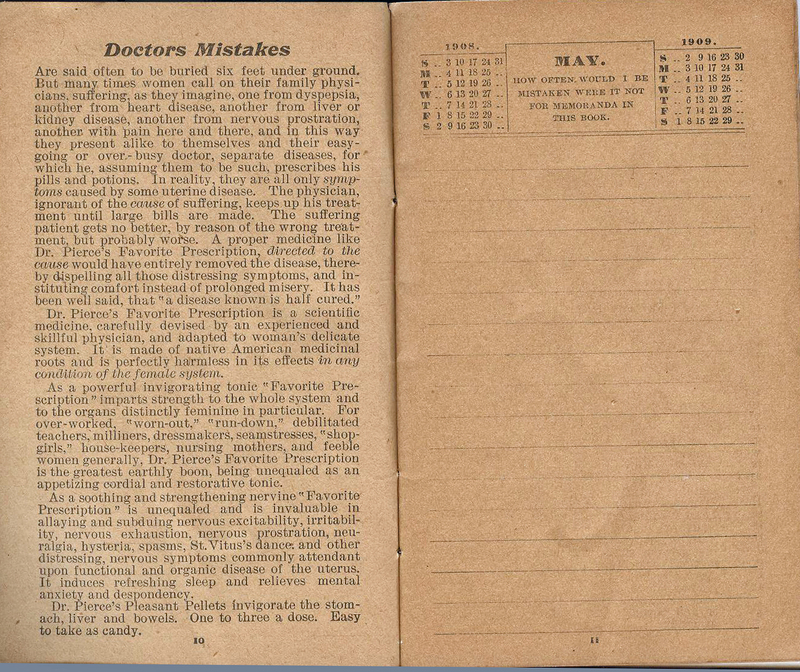 Dr. R.V. 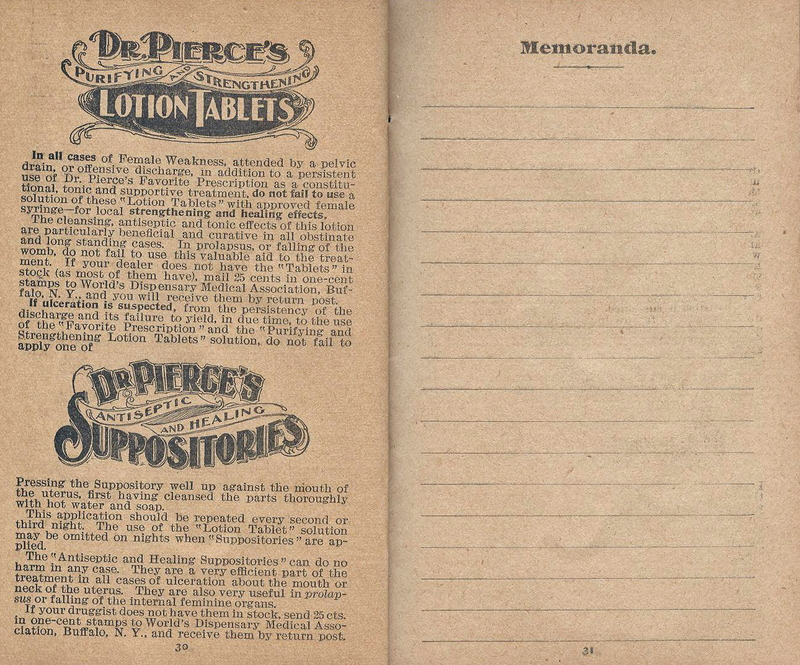 Pierce, was probably the second biggest maker of these medicines after Mrs. Lydia Pinkham. 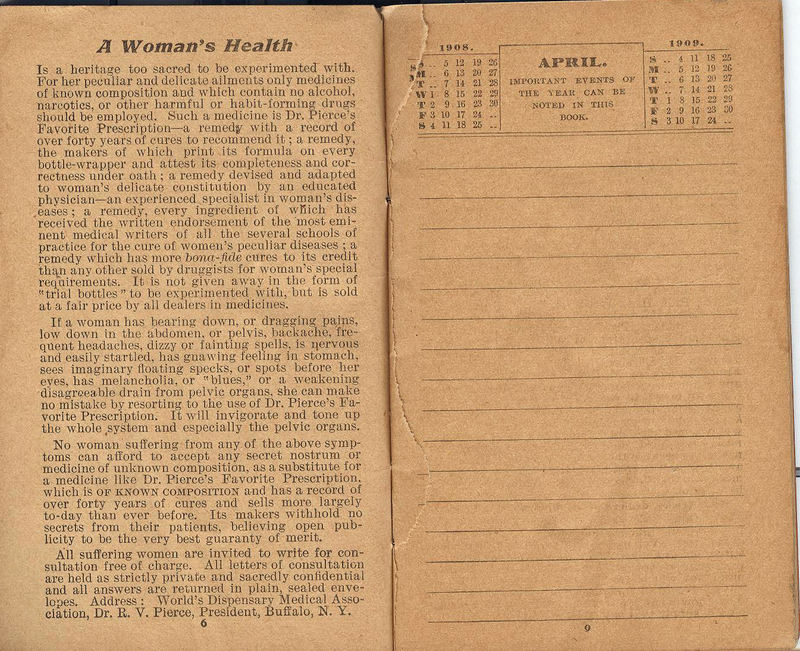 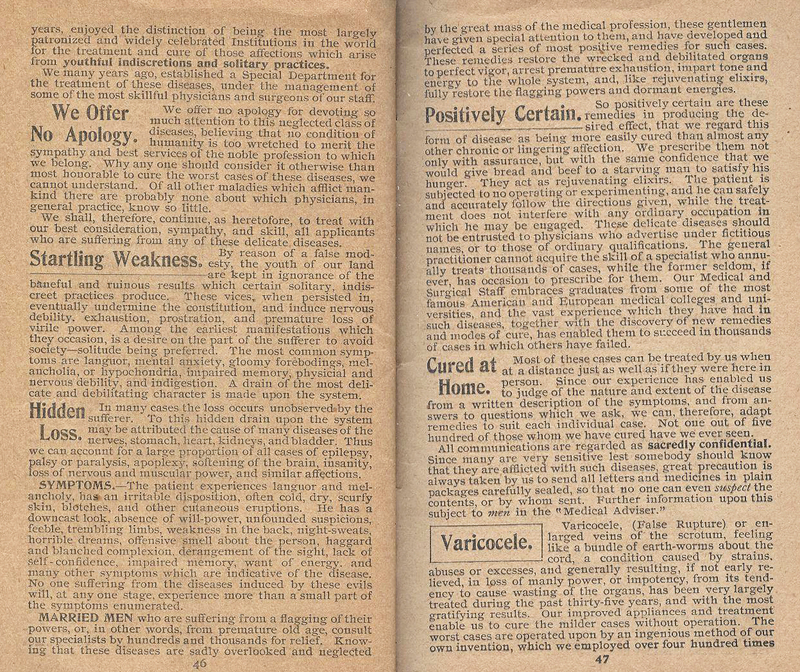 He featured diagnosis by mail which appealed to women who were embarrassed to discuss personal health with the male doctors of the day. 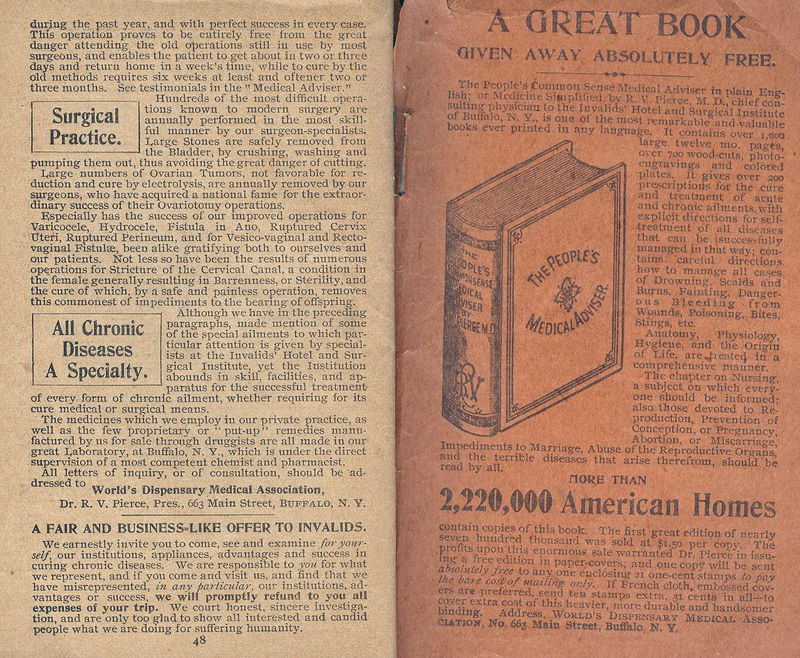 It is very likely Doc Anderson carried the medicines on his own shelves but it is also possible he passed out these informative booklets just as a promotional for his store. 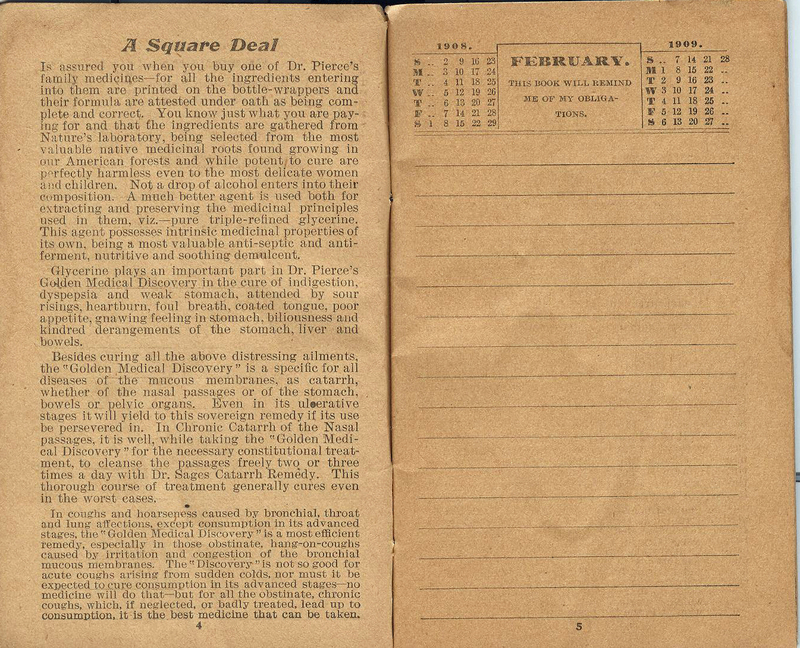 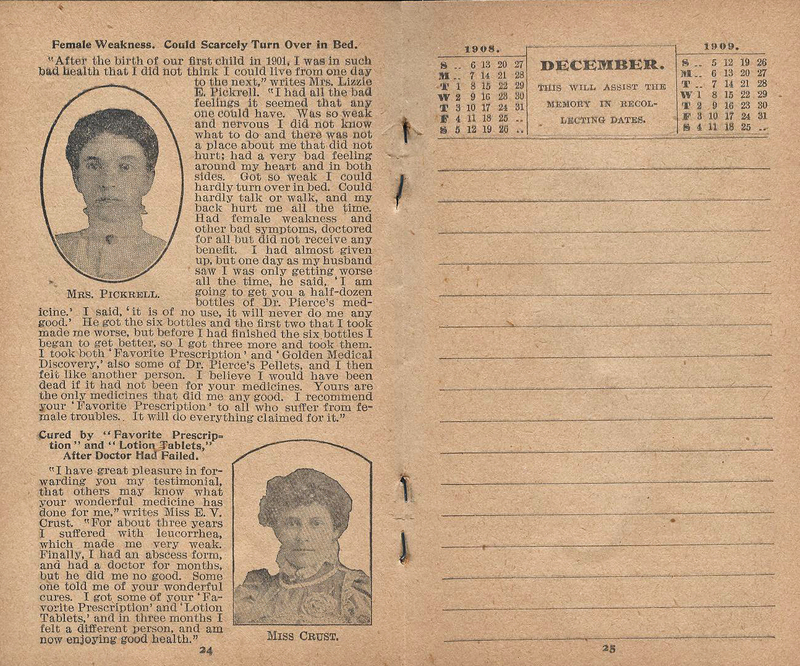 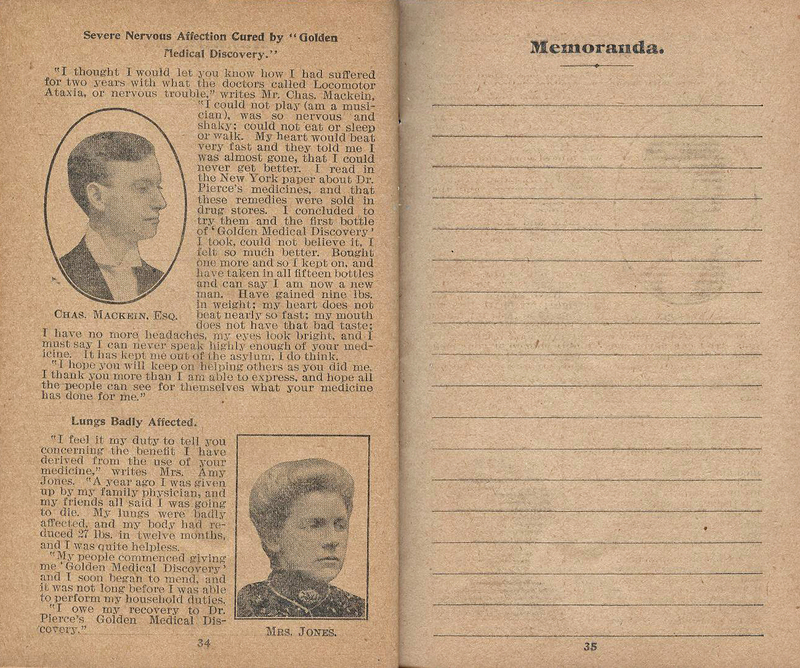 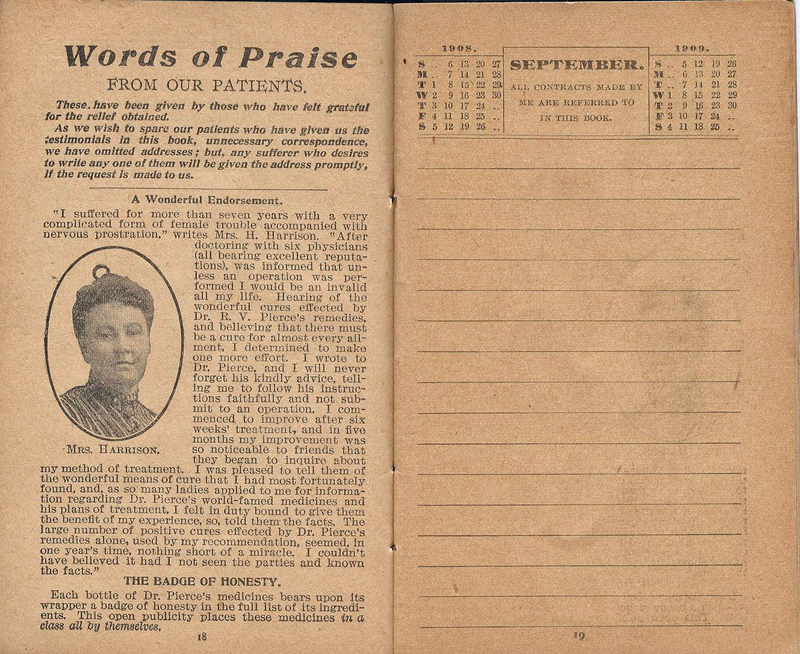 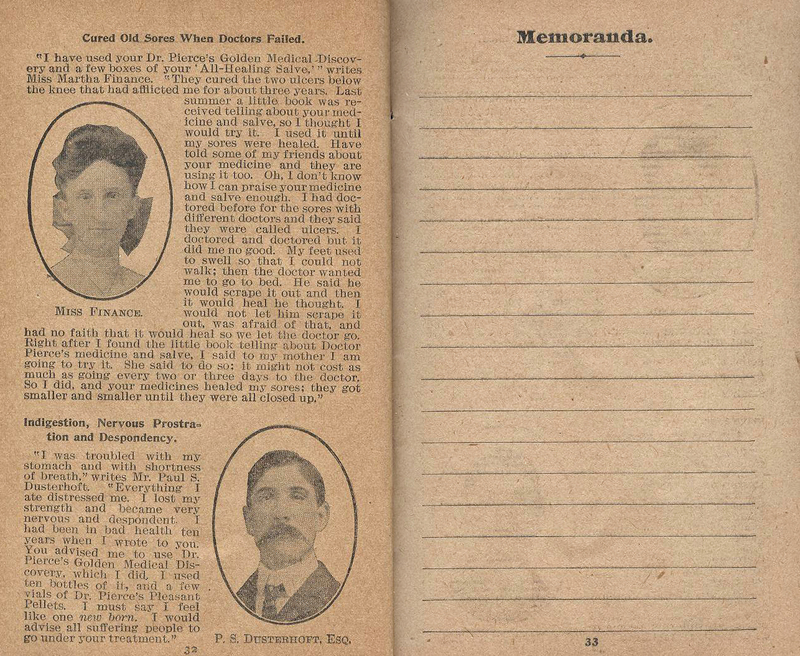 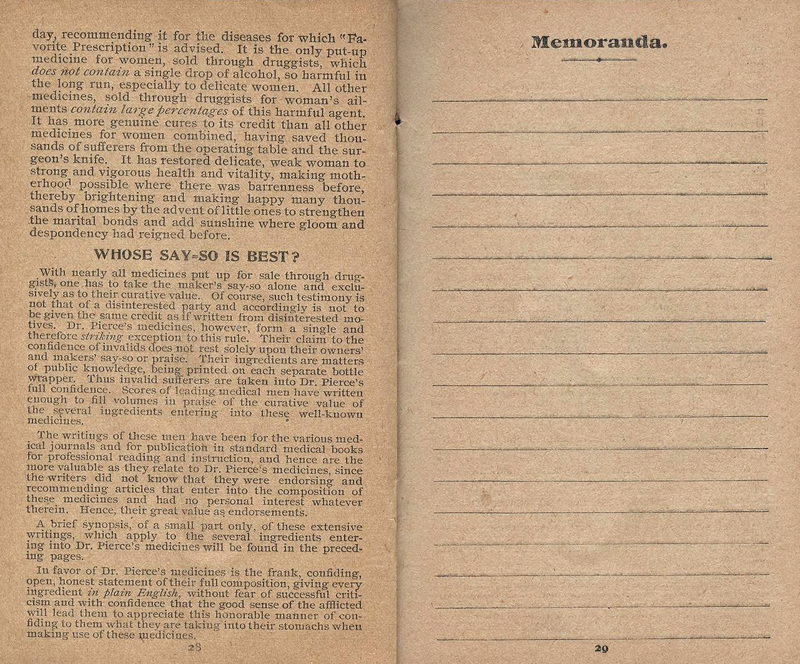 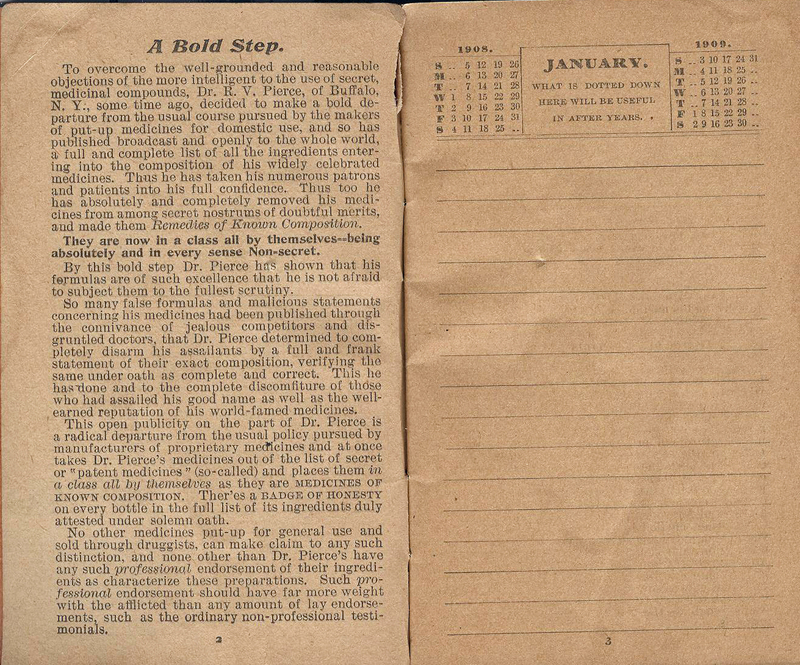 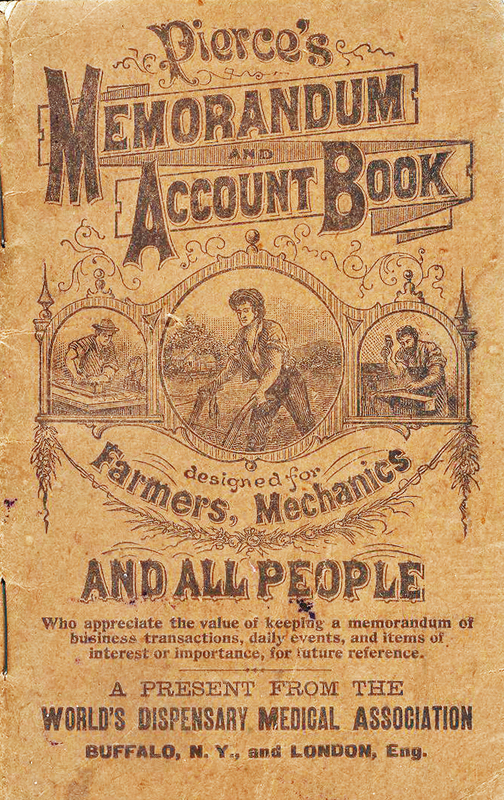 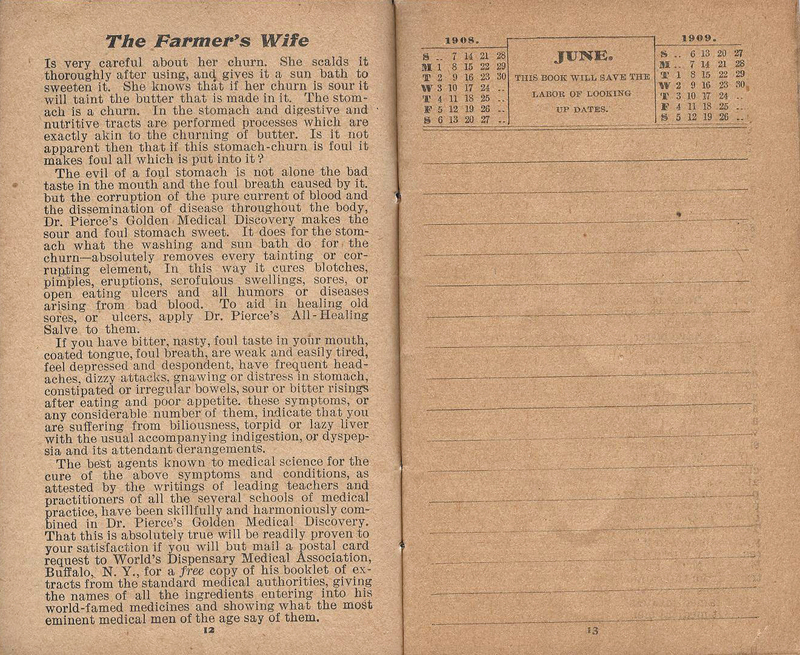 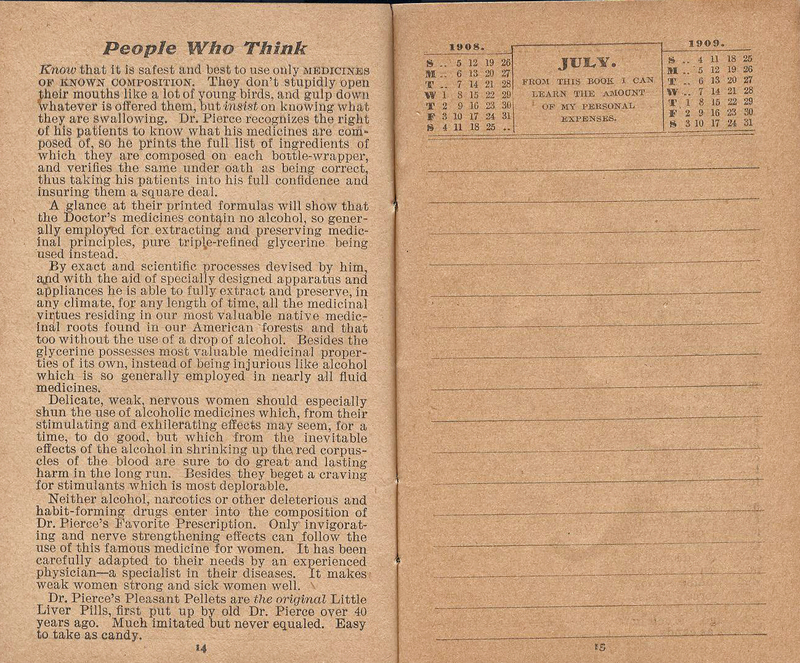 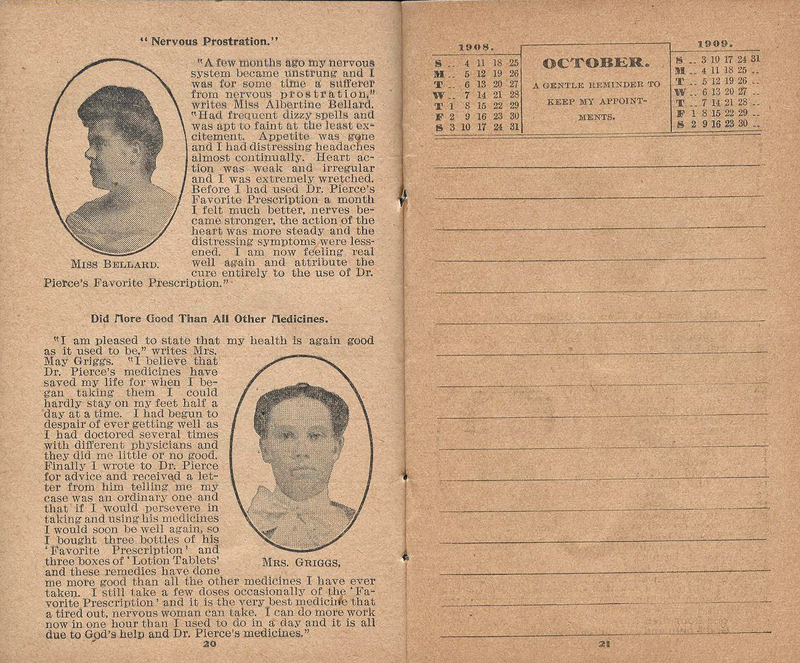 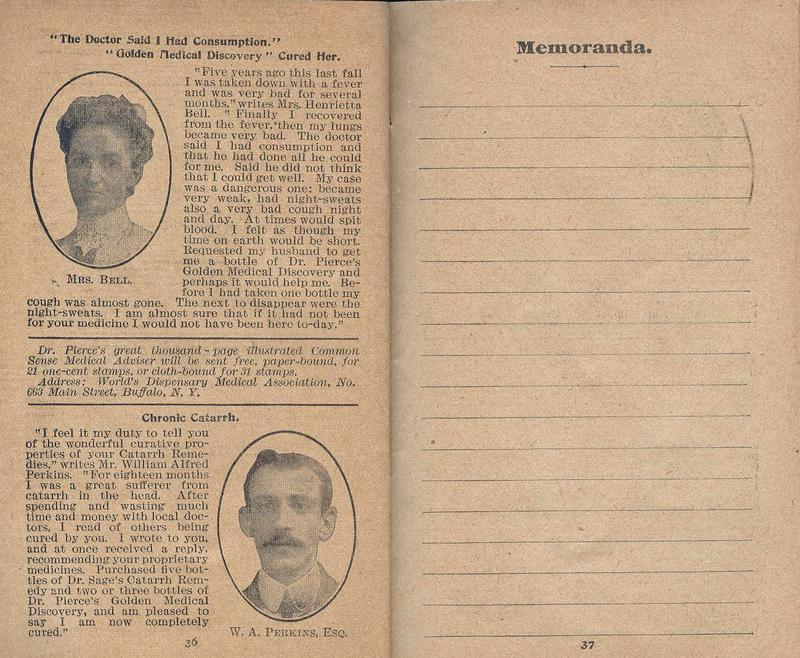 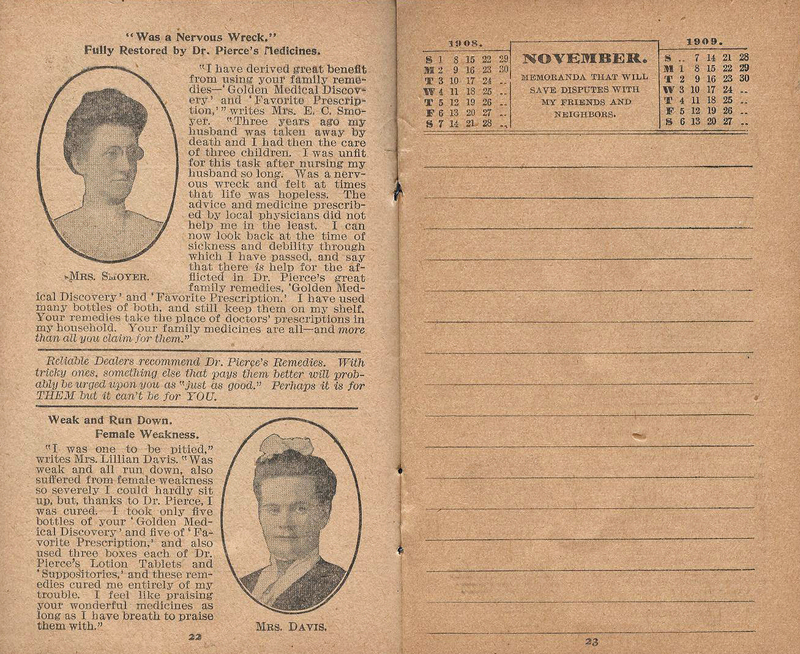 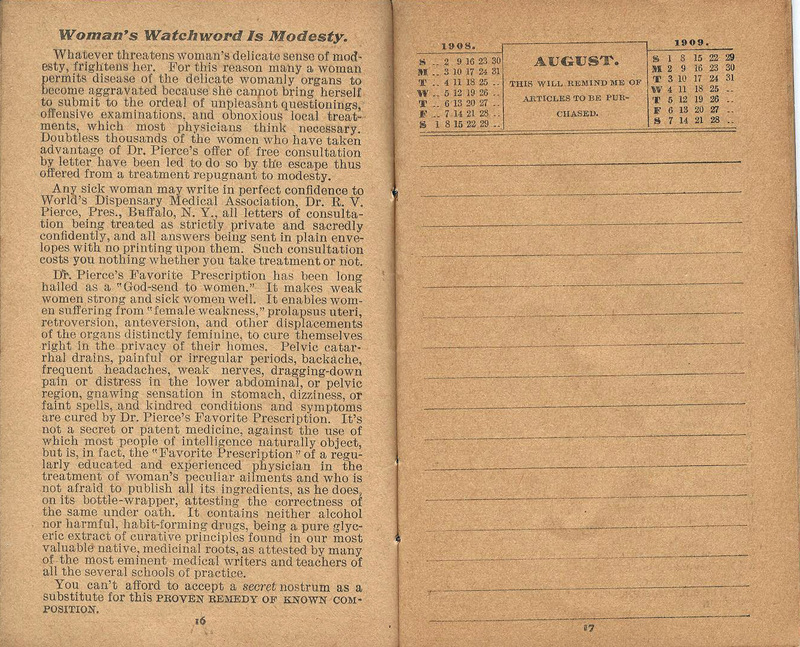 Note this booklet was aimed at the farmer and his family and contained a calendar and places to keep notes.